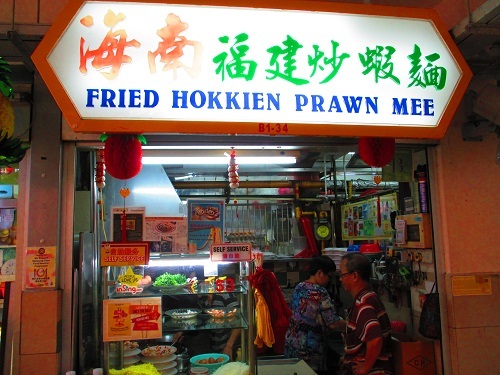 This is the famous fried Hokkien mee stall in Golden Mile Food Centre. 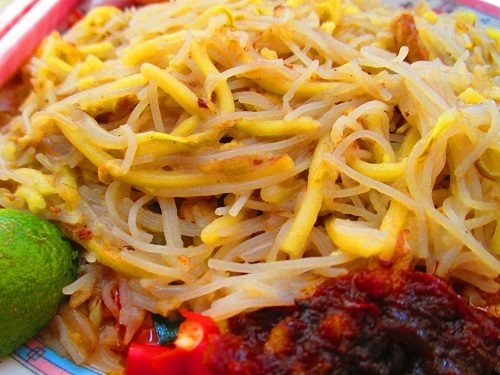 Fried Hokkien mee usually has a relatively long turnaround time with the need to fry and simmer the noodles, the extra process makes the waiting time generally much longer than other food. So, nothing can be worst when someone right in front of you ordered ten take away packs! Oh NO! 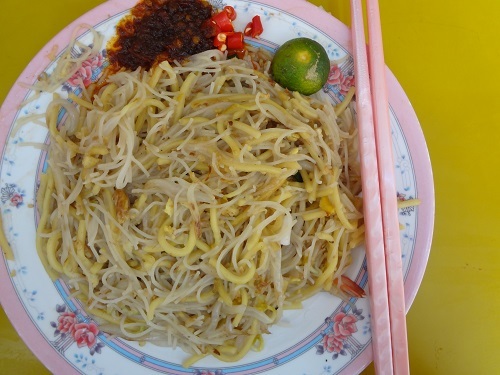 The precious long awaited plate of Hokkien mee finally served, naturally, we have some expectations on this seemingly delicious but sinfully unhealthy dish. The plate came with two small shrimps, few slices of sotong and miserable pork belly (hardly visible). 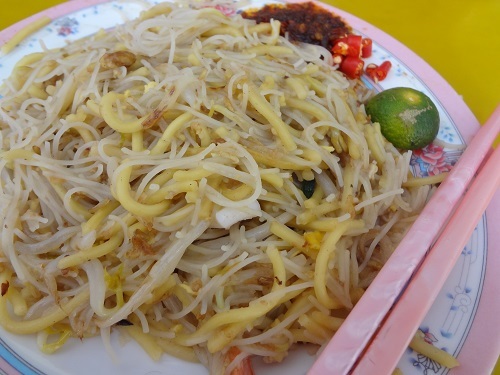 The plate of fried Hokkien mee went around the four of us for the comments; none wants to provide the first feedback, silent and expressionless, something not too right. I broke the silence by giving my though eventually, my first comment was the noodles texture, it was not soft and smooth but slight hard to the bite and too dry, the other three instantly shown hands to support my view, all of us found the mee did not have the right texture even the yellow noodles and white bee hoon was flavourful, it simply lacked of the punch to impress us. May be we were the unlucky one to receive the batch that was flaw and botch in the cooking, may be we shall return in another day to validate again our statement, we hope to change our perception.